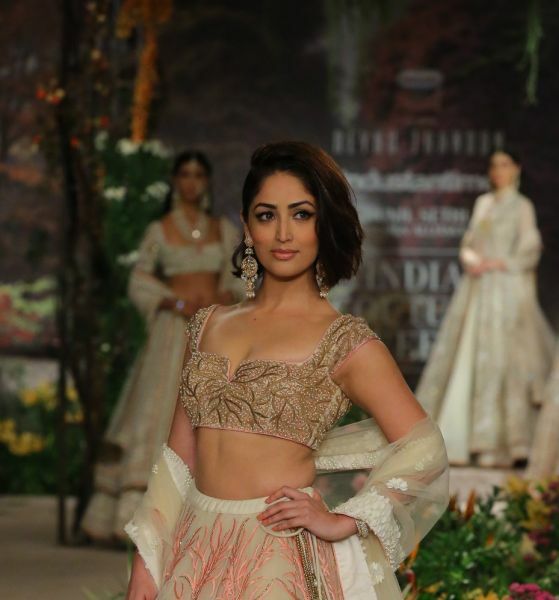 The Falguni Shane Peacock line is innovational in terms of method but natively rooted in terms of approach. The cuts are timeless yet au courant serving as the perfect brew for today’s bride, who’s confident and certain that what she wants! The collection had long sweeping trailed, feather and Swarovski encrusted gowns, paired with dainty embellished veils. The veils were stitched with gown giving it a form of hoody in , making it easy to carry . 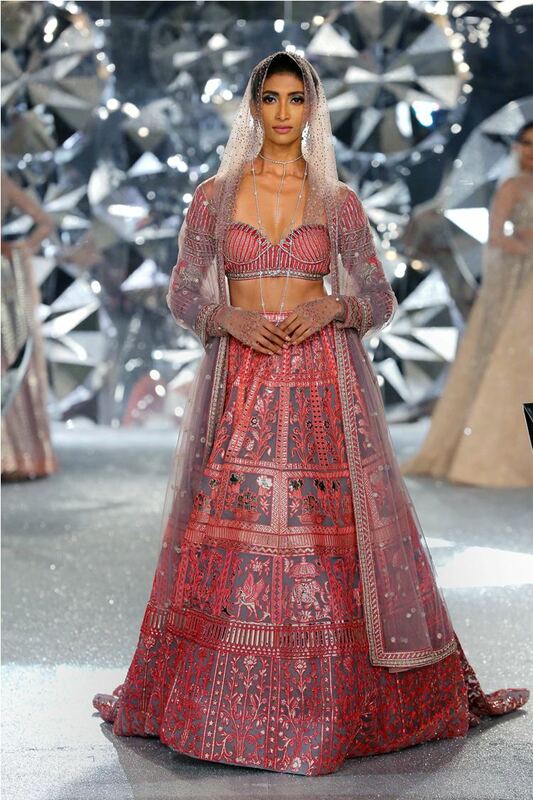 Feathers were experimentative with bejeweled dresses, dramatic regal lehengas and frail saree gowns. The colour palatte was detailed and it varied from Persian violet, medieval blue, tinsel gold, plum purple, dessert dust, Pearled ivory, honey peach, lavender fog and burgundy Beaujolais are some of the vivid shades of the spectrum infused in the couture collection. 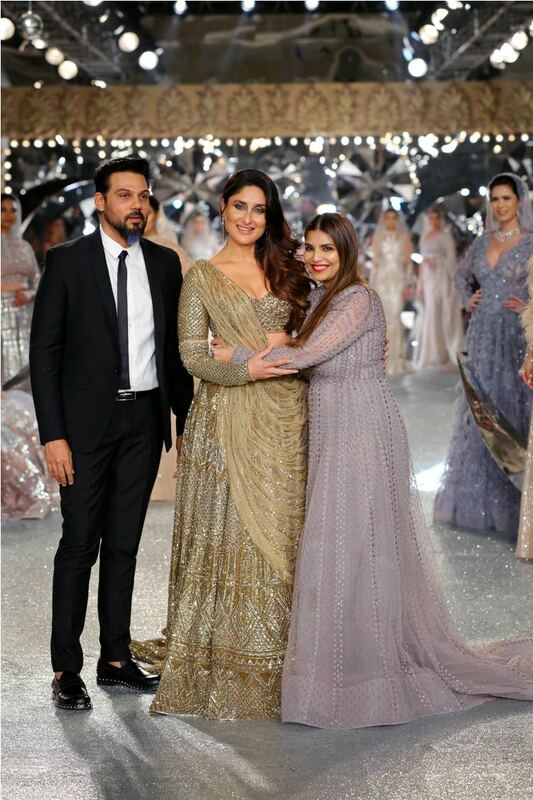 Bollywood Begum Kareena Kapoor Khan walked the ramp as showstopper for the designer duo. 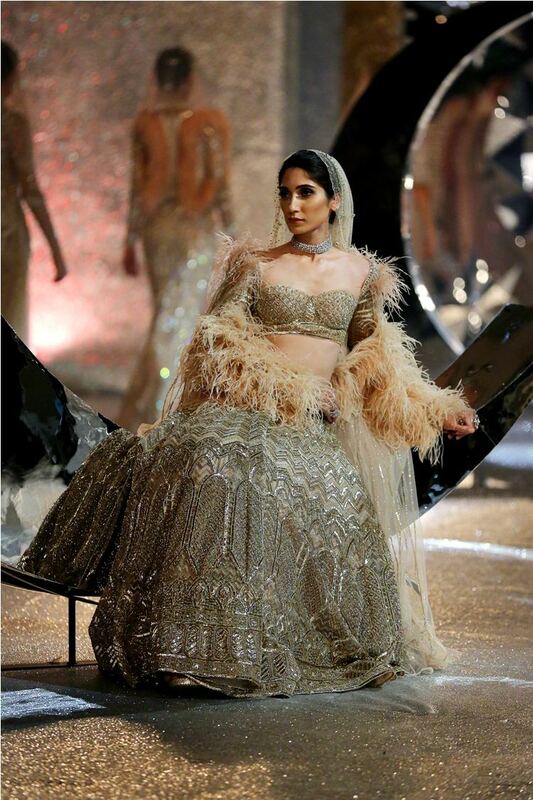 She wore approx 30 kg tinsel gold lehnga and mesmerised Delhi audience with panache! 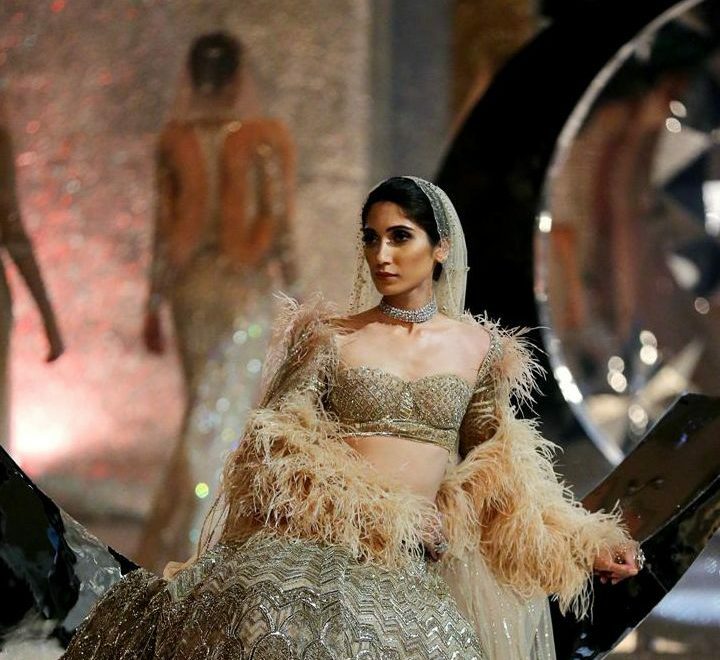 The show was presented by Prakshi Fine Jewelry, the House of contemporary and plush jewels.